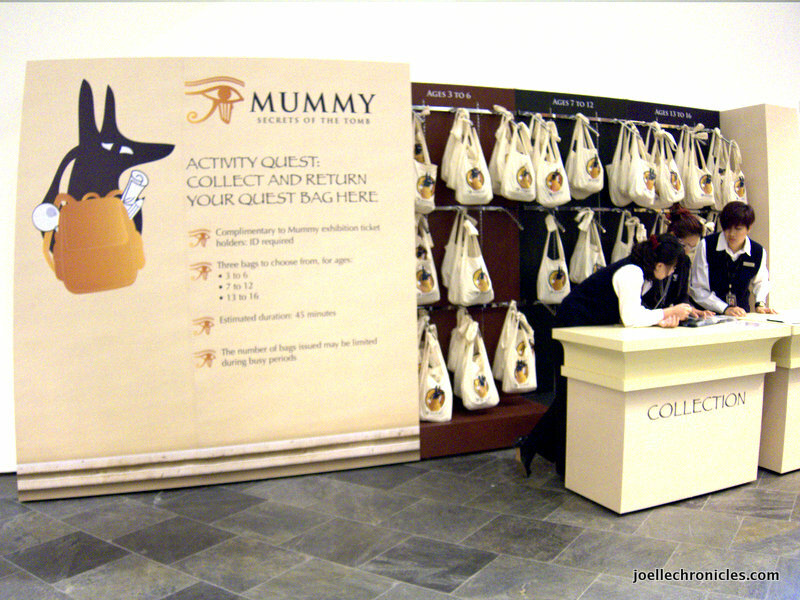 The mummies (6 in all) have arrived in Singapore! 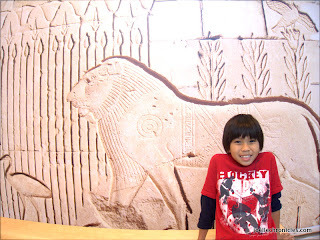 We have visited practically all of the special exhibits mounted at the ArtScience Museum in Marina Bay Sands. They have been very well curated and arranged to cater to all age groups. 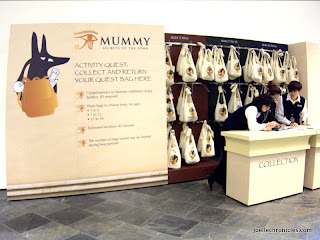 With that in mind, we were particularly excited to see what the collaboration with the British Museum would generate. 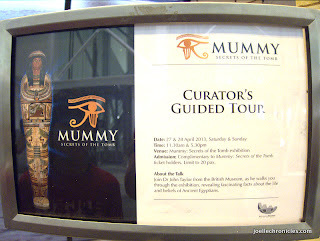 When we learned that British Museum curator Dr. John Taylor would be there during the opening weekend of the exhibit, we made sure that we were at the museum as soon as it opened. That was a good decision as we were privileged to attend one of his highly popular guided tours. 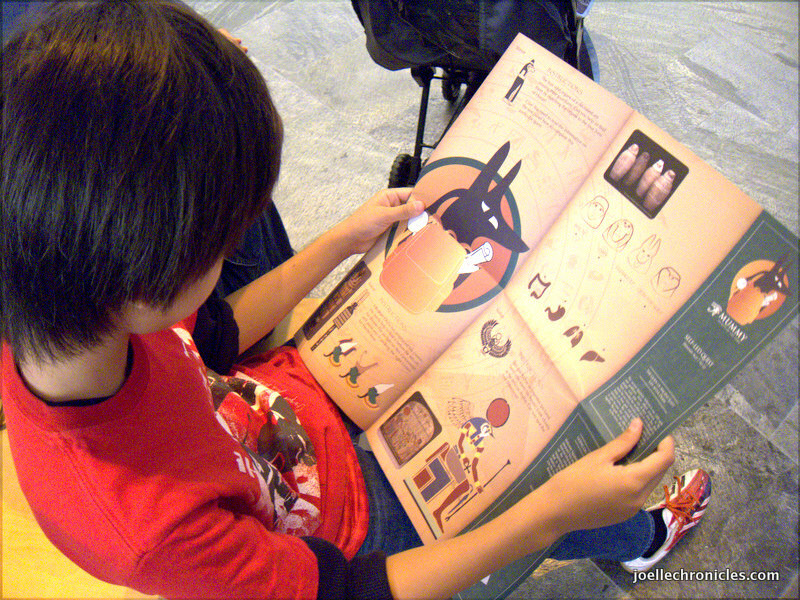 Tip: When going to the museum, it is best to go on a guided tour as this will bring out the highlights of the exhibit and reveal little facts not written down in the display notes. The one hour flew by as Dr. Taylor revealed fascinating facts about the lives and belief of ancient Egyptians, explaining the religious beliefs that underpinned ancient Egyptian funerary practices. 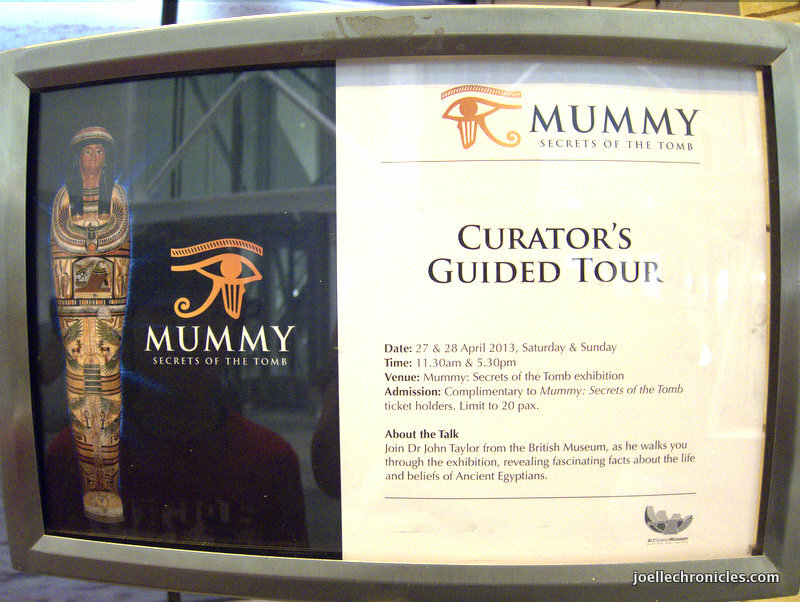 The exhibit may be relatively small in size compared to that located in the British Museum but it was very well curated. According to The ArtScience Museum's executive director Nick Dixon, the exhibition "reflects the intersection between art and science". The show pairs "some of the most stunning pieces" of ancient Egyptian artefacts with "the latest in modern technology and medical science" to shed light on the rituals and processes of mummification. 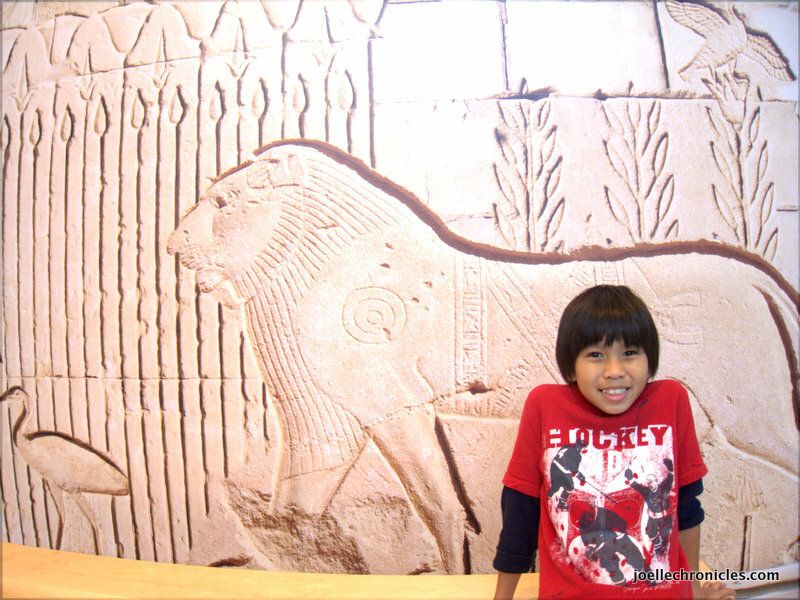 Before exploring the exhibit, be sure to watch the 30-minute 3D film about which tells the story of Egyptian temple priest Nesperennub, including the “virtual unwrapping” of his 3,000-year old mummy. Do note that it may be too scary for children below the age of 6. Get ready to enter a world of the Egyptian gods and the humans who worshipped them. What I really appreciate about the ArtScience Museum is that they try to cater to all age groups. Parents and guardians of young children will appreciate the Activity Quests which have been specially-designed through age-appropriate Quest Bags (grouped from ages 3-16) which contain enjoyable hands-on activities. Directly related to the artefacts on display, these include jig-saws and games, including magnifying glasses for the intrepid young Egyptologists to help them solve the various challenges.